What are the dimensions of the Synchronic BOV? What improvements have been made to the Synchronic BOV? 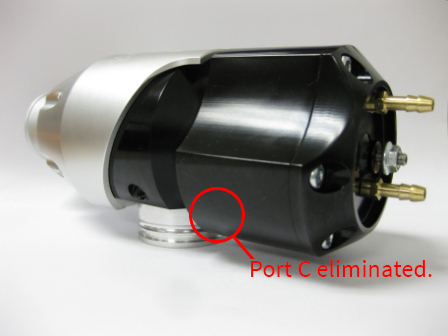 Elimination of port C on the side of the BOV- This port is now internally ported on the design and is the hallmark of the latest revision. Performance of the BOV & it's ~17 millisecond initial response time remain unchanged. The original design with an external port C was made public in case there would be the occasional application that required the boost-only source to be plumbed before the intercooler to make use of the pressure difference that may (or may not) exist before and after the intercooler. We have always had our own units internally ported for simplicity and have rigorously tested & validated this change for over 3 years. 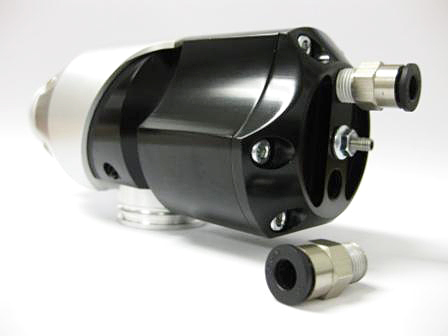 We will still have the original design in limited quantities and available only for special orders and industrial applications. We believe that the benefits in having one less connection to plumb (or fail) far outweighed the 1% of users out there that needed the externally ported design. Change to 1/8th NPT threaded vacuum ports- This design change has eliminated the use of the small M4 brass fittings. Although the initial design was compact and very light weight, we received enough feedback that prompted the change. We want to show that we do, in fact, listen to customer feedback, take it very seriously, and will only make a change after significant testing. With this change, you will no longer be able to over tighten and break brass fittings. 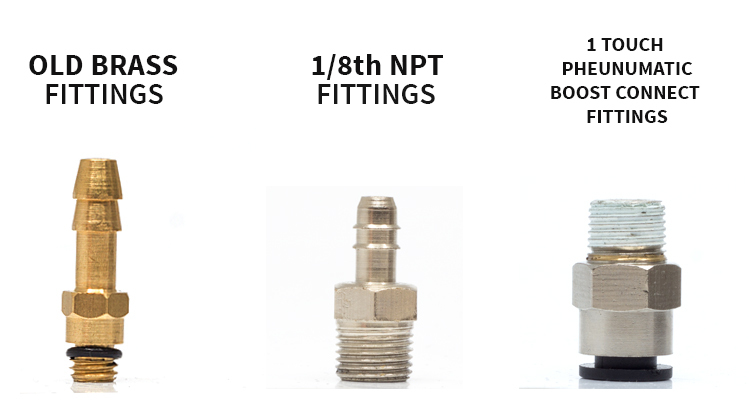 You can also use our boost-connect fittings, which includes a 90 degree fitting for use in very tight installations. You should also know that this new back cap design is backwards compatible with even the very first Synchronic BOV released to market. You can upgrade your Synchronic BOV to this latest back cap using kit # SB001A.KIT022. M4 mounting bolts- The mounting bolts have now been changed over from M4 set screws to M4 bolts to give users the ability to apply more force when tightening down the BOV on mounting flanges. New mounting flange geometry- This new design eliminates any chance of o-rings getting damaged upon installation. All of the universal Synchronic BOVs & application specific kits available in the market today should include all of the improvements above. 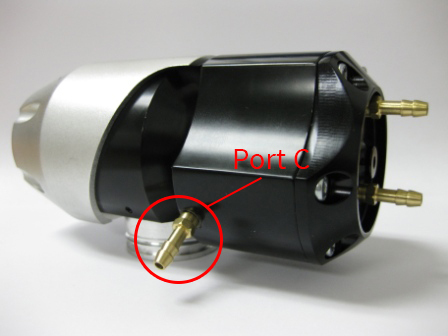 What is a Port C delete and what is the service procedure? What is causing my Anti-Stall Kit leak? What is the Anti-Stall Kit and how to properly install it? 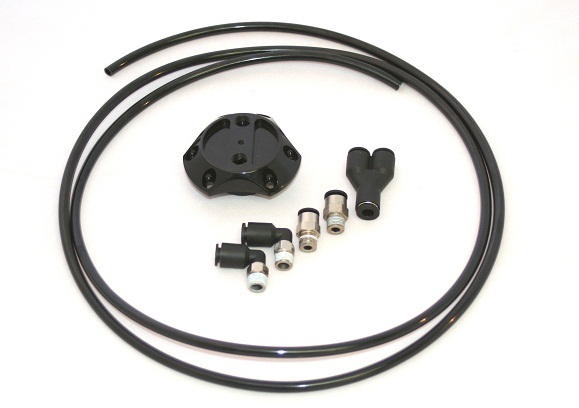 What is the BOV upgrade kit, and what does it include? Why are the brass fittings for the signal ports not able to be screwed down completely?